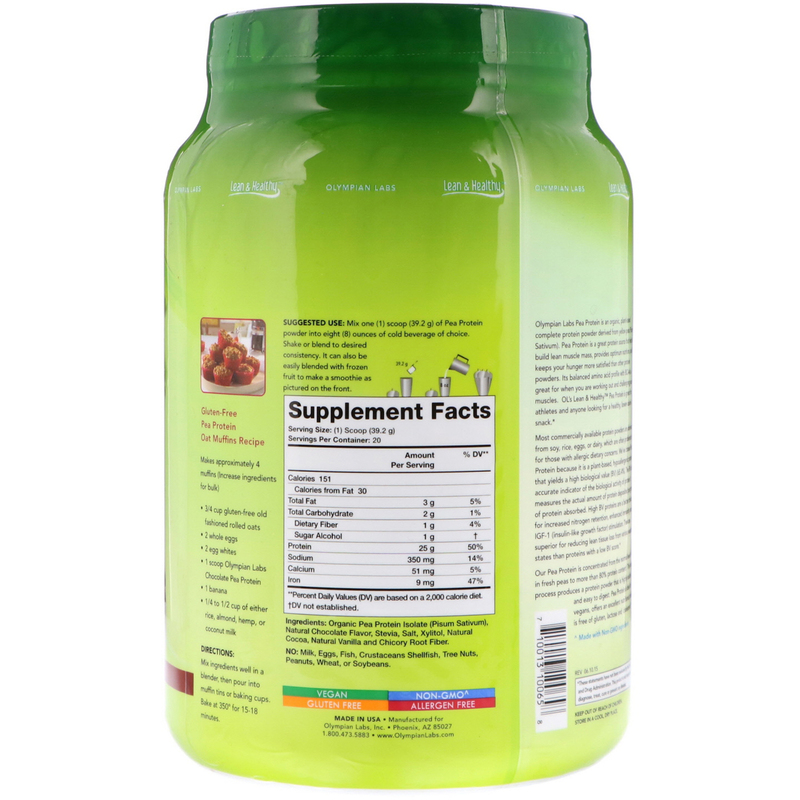 Pea Protein is a natural, vegetable-based protein powder derived from yellow peas (Pisum sativum). Pea Protein is a great protein source that helps to build lean muscle mass, provides optimum nutrition, and aids in the weight loss process as it keeps you more satisfied than other protein powders. Most commercially available protein powders are derived from soy, rice, eggs, or dairy, which are often problematic for those with allergic dietary concerns. 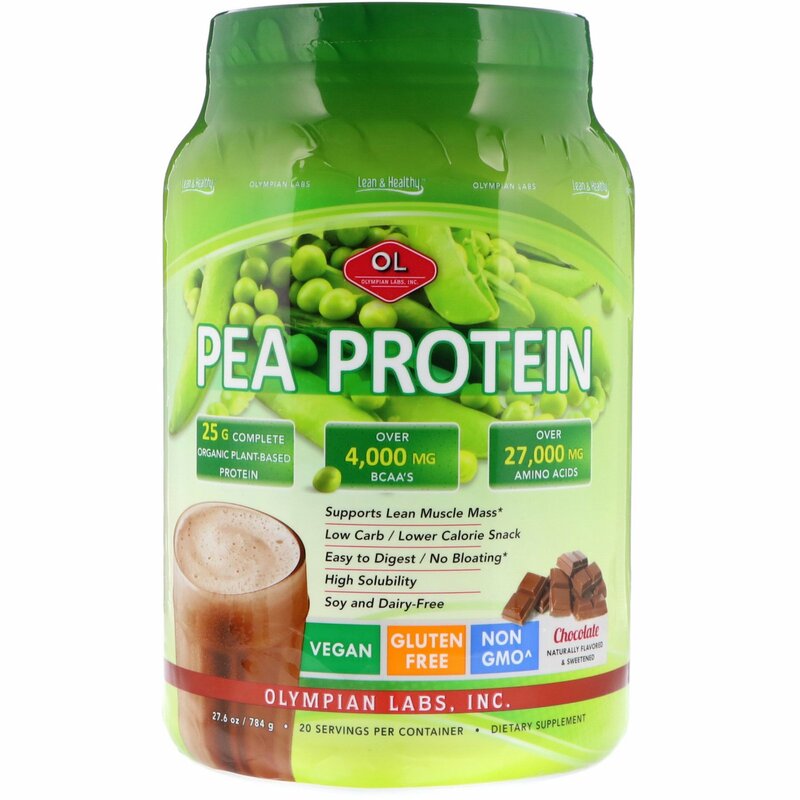 We've chosen pea protein because it is a plant-based, hypoallergenic protein that is easily digested. OL's Lean & Healthy Pea Protein is great for athletes or just as a healthy lower calorie snack. Our Pea Protein is concentrated from the normal level of 6% in fresh peas to more 80% protein content! This unique process produces a protein powder that is highly soluble and easy to digest. Pea protein isolate (pisum sativum), natural chocolate flavor, stevia, salt, xylitol, natural cocoa, natural vanilla and chicory root fiber.